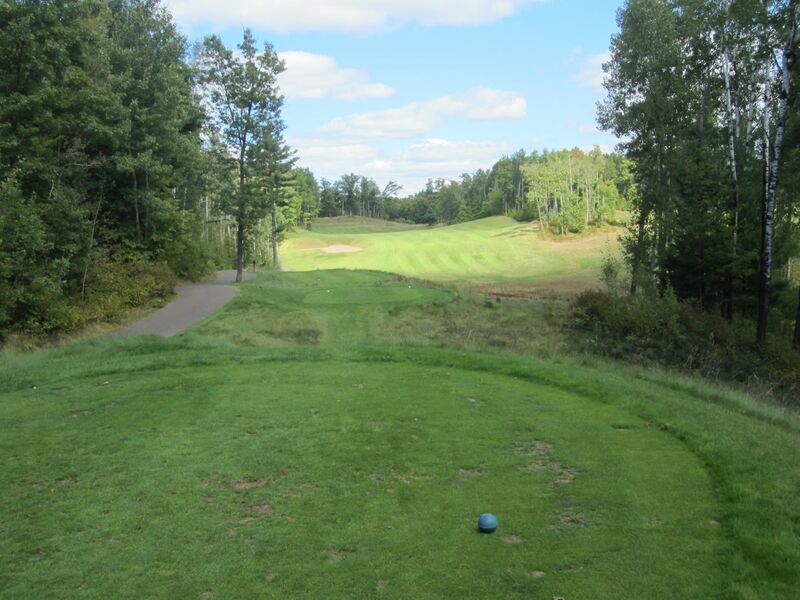 Located in the heart of Northern Wisconsin, Big Fish is one of six golf courses in the state designed by the legendary Pete Dye (Blackwolf Run Meadow Valleys and River, Whistling Straits Irish and Straits, and Hidden Glen GC (private, Cedarburg)). 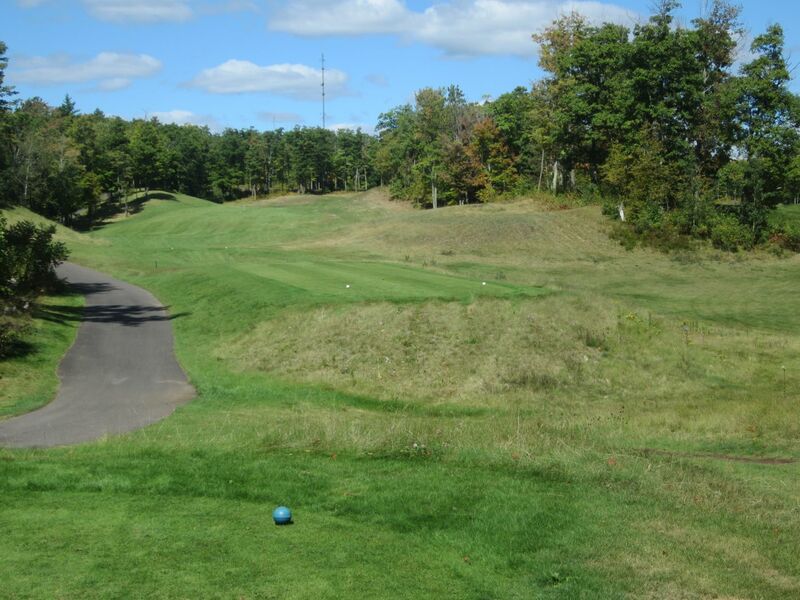 Named for the world record 58-inch muskellunge caught in the same city, Big Fish has a bit of everything: Links golf on the front nine, and a beautiful wooded course on the back. Quick greens, interestingly placed bunkers, and a challenging 7,231 yards from the tips give the back nine, especially, a huge feel. 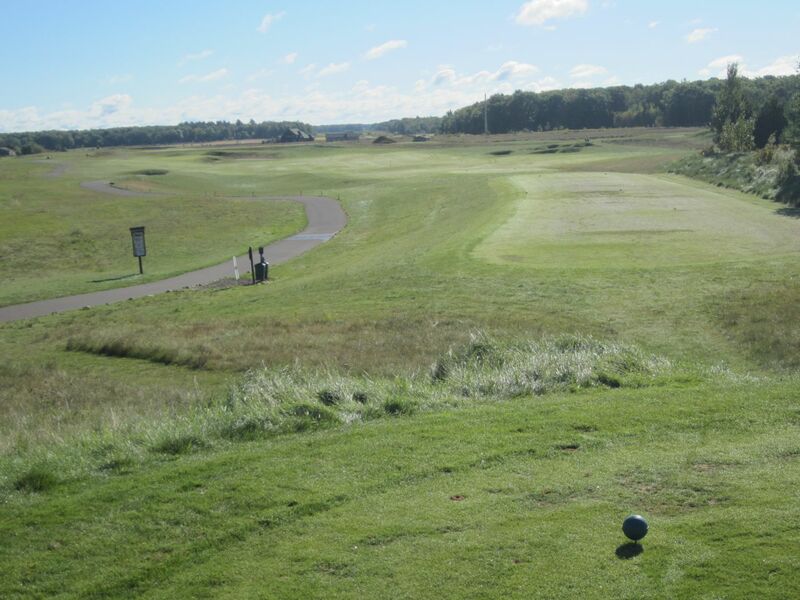 Much like the mystique of a 58-inch musky, these factors and more helped catapult this six-year old track in to GolfWeek’s list of Wisconsin’s top ten courses, and on to the must-play list of players around the state. Some of the cool design features that Dye incorporated into Big Fish’s layout include his signature slat-looking bunkers, greenside run-off areas, and the use of elevation and angles to keep long hitters from gaining too much advantage (particularly on the back nine). 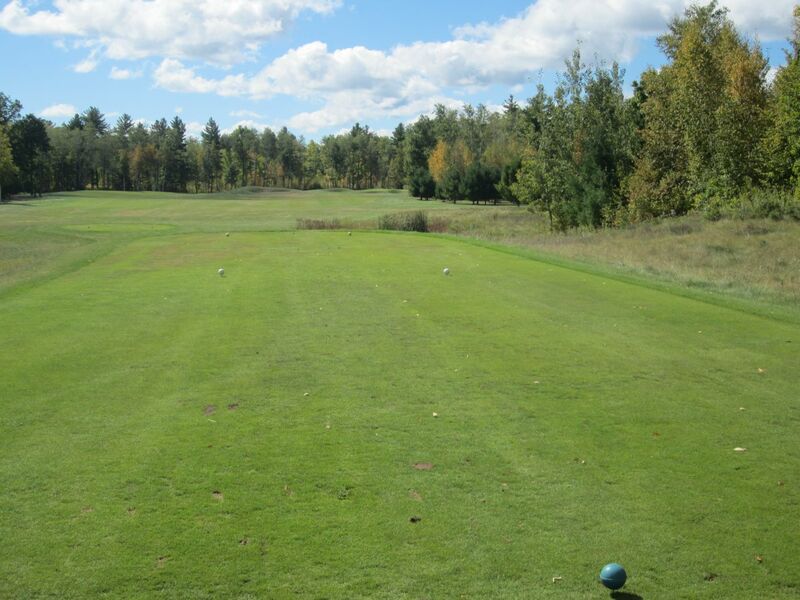 The first hole is an easy start: 378 yards with a left-veering fairway that provides a huge target to drive at. This hole is indicative of the rest of the front nine, as the challenge starts on the greens. The putting surfaces are very slick at Big Fish, which magnifies the subtle and sometimes not-so-subtle breaks to be found. My approach was left of the green and resulted in a short pitch on. What I expected to have stop in the middle of the green rolled all the way through to the fringe. A run-off on the back falls from the playing surface. 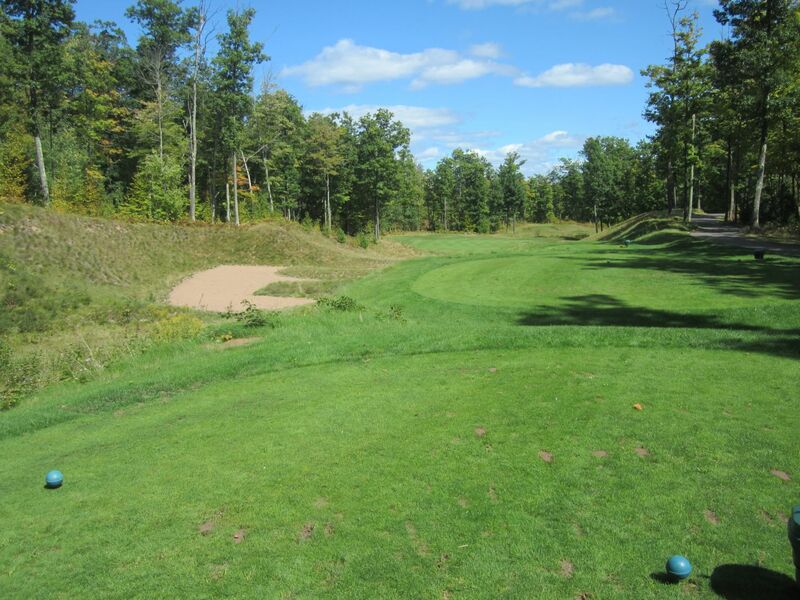 The second hole is a nice par five featuring a rolling fairway that filters to the right. 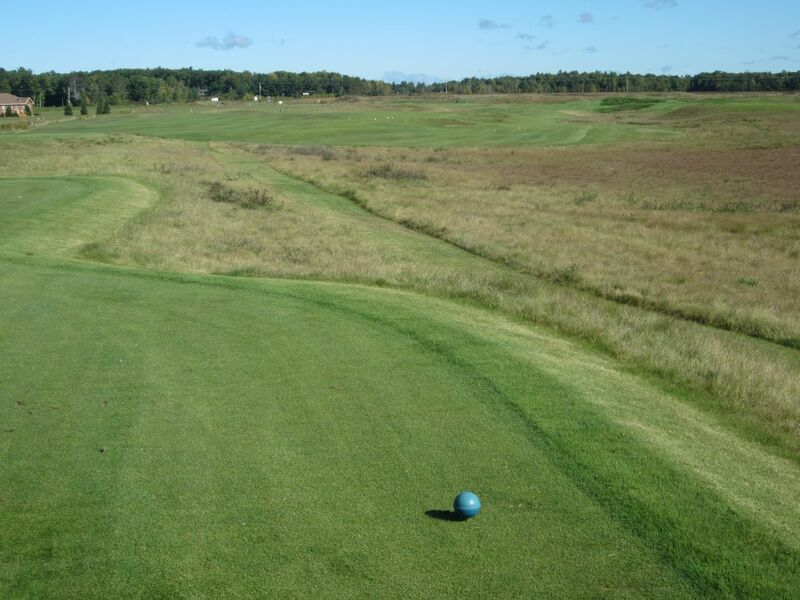 Fairway mounding and the rightward tilt on that side of the playing surface creates tricky lies and can leave the ball well below the feet, making the second [long] shot a little tougher than desired. Three is a cool little par three. 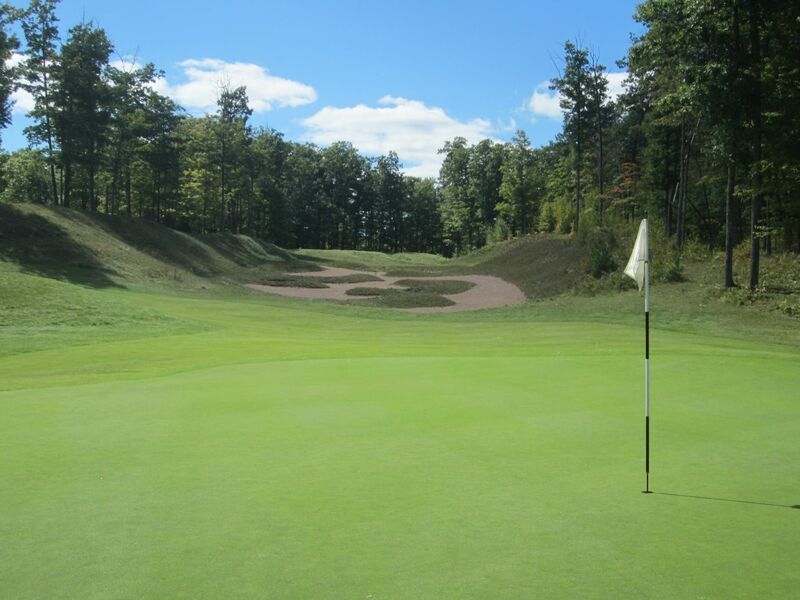 From a comfortable distance of 149 yards, the green is multi-tiered and drops off to a moat of sand on the left side. With a middle pin location for our round, our group had four reasonable birdie opportunities, but I can see this being a very tricky one-shotter when the hole is cut anywhere else. 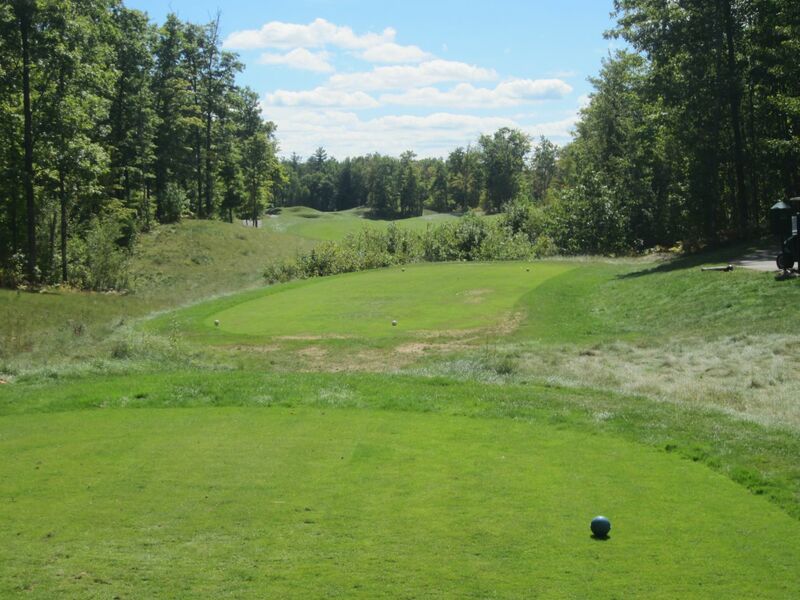 From the blue tees, the fourth hole at Big Fish is a pretty long par four of 437 yards. From the tips, it is one of the longest in the country at 517! Fortunately, we were playing the blues. The left side of the fairway area is heavily littered with sand traps, as is the right side of the green complex, which is long from front-to-back, but quite narrow laterally. A serpentine-style bunker splits the approach area of the fifth hole, and urges players to hit long and left, which on this 337-yard par four should leave a short shot in. Six is a tough par four. 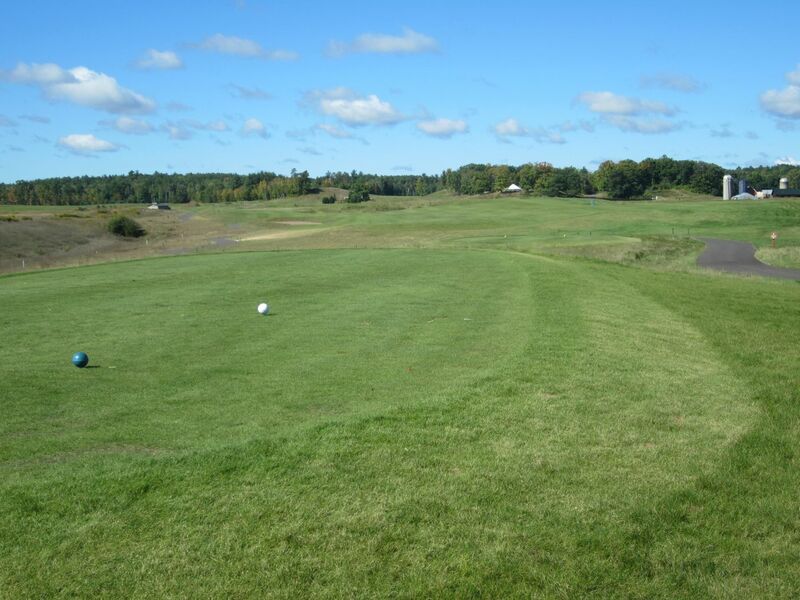 The driving area is generous to the right side, but the fairway is heavily tilted toward the left. Even hitting the right side of the fairway will result in an approach from the left. Sand, rough and waste areas make up the left side, so driving accuracy is important here. The approach in is to an elevated green with a front-right side that drops significantly to two bunkers and a depressed area that forces an uphill flop shot to hold the putting surface. Seven is probably my favorite hole on the front nine. 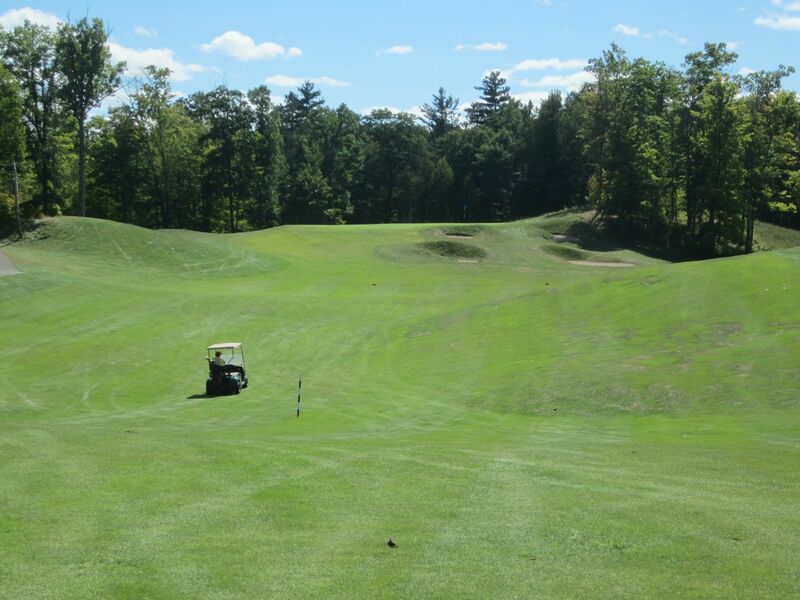 With water lining the left side of the hole, the fairway runs from right to left and slopes toward the pond. 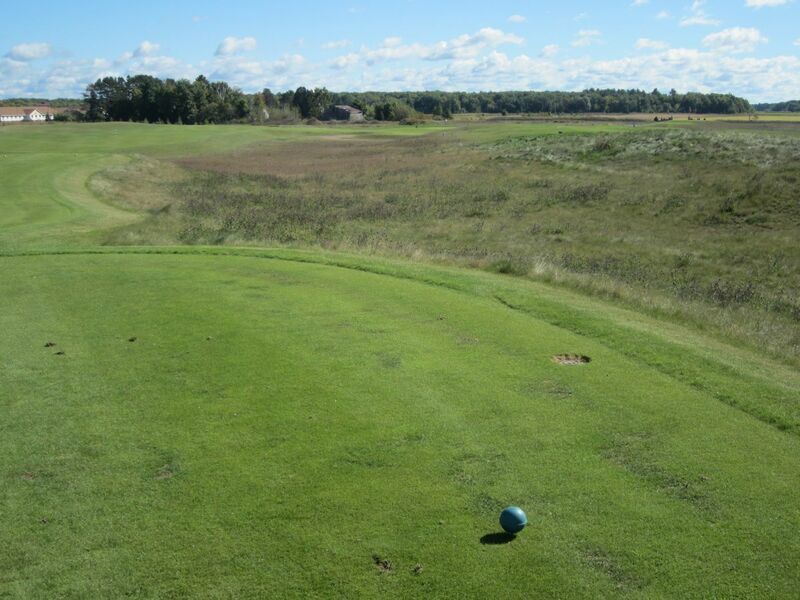 The buffer area between the water and fairway falls about five feet from the playing surface to some sand and rough, which forces the player to get the ball up high to re-find the fairway. At 514 yards, the hole is reachable in two, but requires long and accurate shot-making. I came up just short on my third shot, finding the front-left bunker which is the one dry place to stay away from on this hole. Deep and craggy, this trap can require a long out with difficult footing. 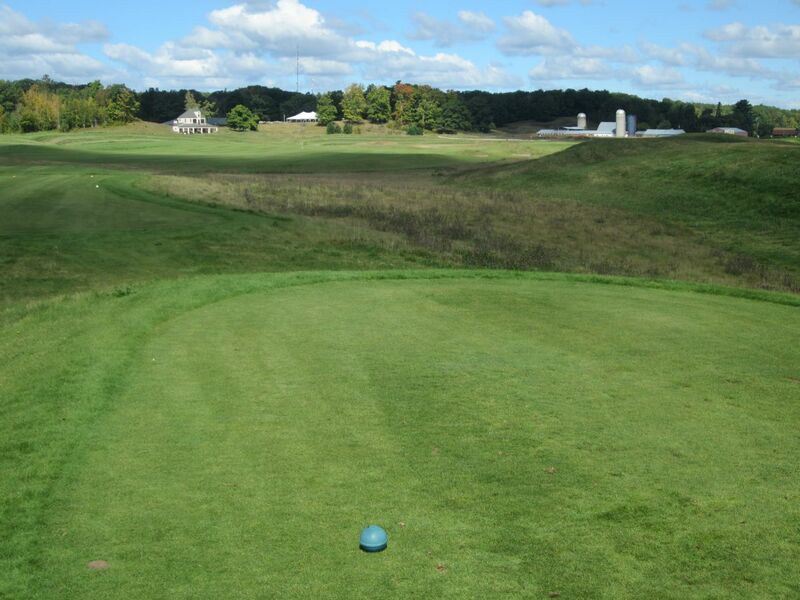 Eight is a short, 348-yard long par four that plays toward an old farm. 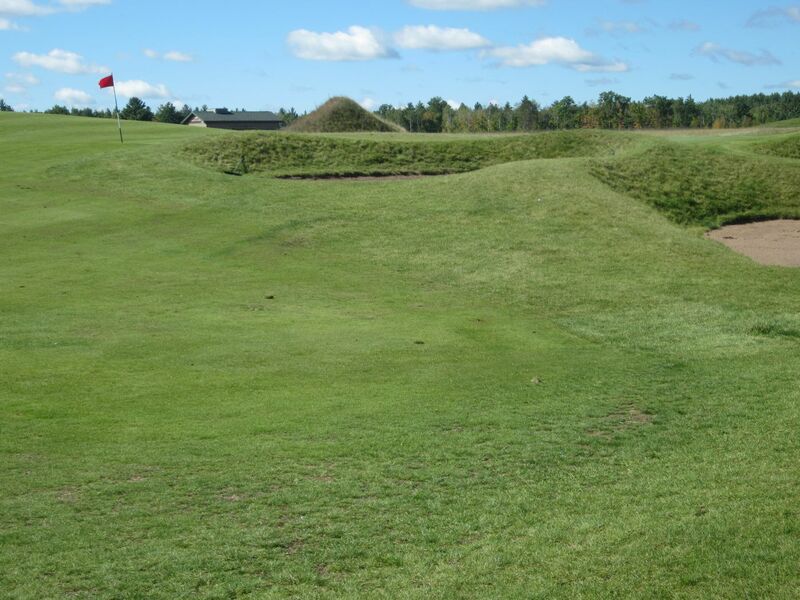 The hole runs slightly right and ends with several deep greenside pot-bunkers. The smart play off the tee is to the 150-yard marker. Nine is a deceptive little 123-yard par three to end the front nine. Playing towards the course’s halfway house, called Mulligan’s, the green is one of the deepest and slants acutely uphill from the front to the back. Some of the most treacherous sand traps on the course surround this large green, and from personal experience it is a very difficult green to judge speed on from long distances. The back nine is where Big Fish gets really special. The tenth hole reminds me a lot of the first hole at Sweetgrass, with a wide open left side of the fairway that runs laterally to the front of the green complex. The green is slightly risen, and has two traps toward the back-left that can catch anything long and left. Eleven is a gorgeous par four. 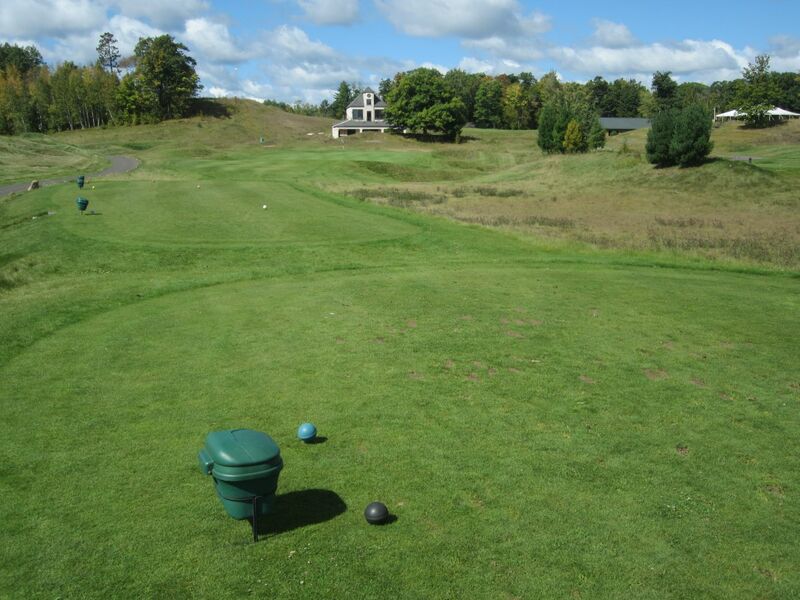 The tee boxes are set up well beyond the cart paths, and require a straight tee shot between tall trees. The hole plays much longer than its 345 yards dictates, as both shots need to be hit accurately. The front-right sand trap before the green has a tall birm that must be carried to find the undulating green. With a highly elevated tee shot, the twelfth hole at Big Fish is both where my game climaxed, and then quickly fell apart (all in all, I probably played the worst I did all season during this round, which was unfortunate). From 174 yards, I hit a drawn five-iron just over the pin to set up a tap-in birdie. I hit my shot, was happy and then got a call from my best girl-friend from college, who was on her way to meet us at the course in my car and called to let me know that the transmission went out. Being nearly 400 miles from home, and with Mandy being stuck at a gas station, this was not a good situation. 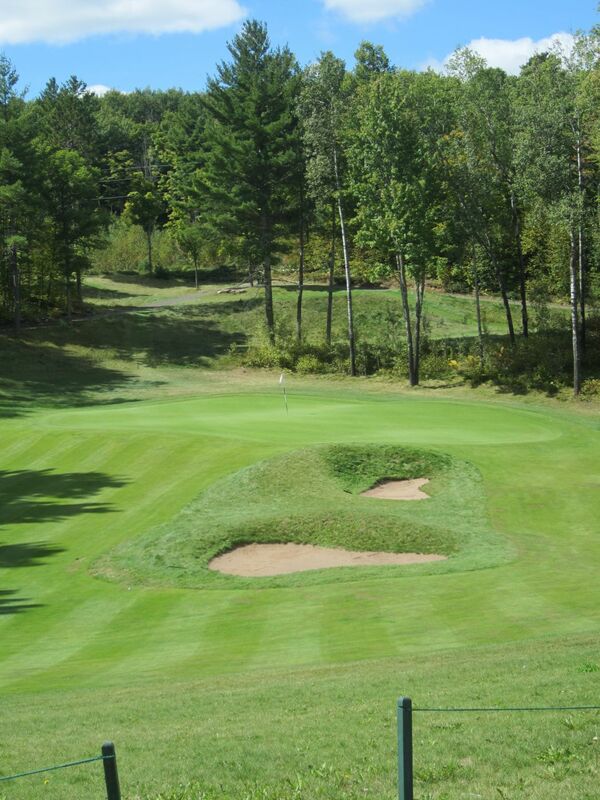 Thirteen is hands-down one of the best par five holes in Wisconsin. 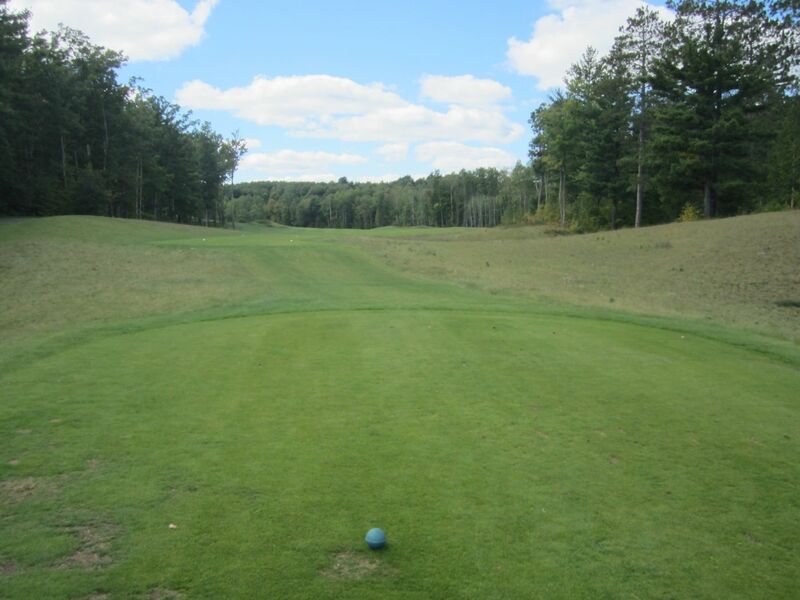 With a straightaway tee shot, the driving area is wide and forgiving. The hole then funnels slightly left, then drops significantly downhill to a small green that is situated between trees on three sides. The second shot simply has to be long, as the playing area on this hole is immense. The third shot, if played from the initial fairway to the raised, downhill green, is probably twenty or more feet below the player’s feet. This is a beautiful golf hole. Playing uphill and bordered on the left side the entire way by trees, the fourteenth hole is another very pretty golf hole. 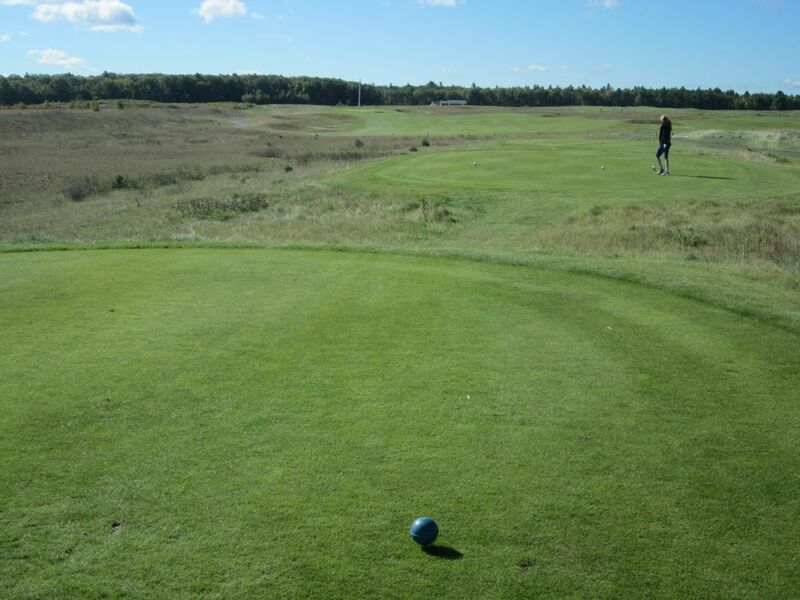 The drive can be played to the right side of the fairway or even further, as long as it is not so far that direction to have the right-side tree line lock out the approach. A handful of pot bunkers reside in the uphill approach area, which is plateaued well above the fairway and finishes on a crowned green complex that can usher even good shots well off the putting surface. At 464 yards from the blue tees, the fifteenth is one of the hardest par fours I have ever played. 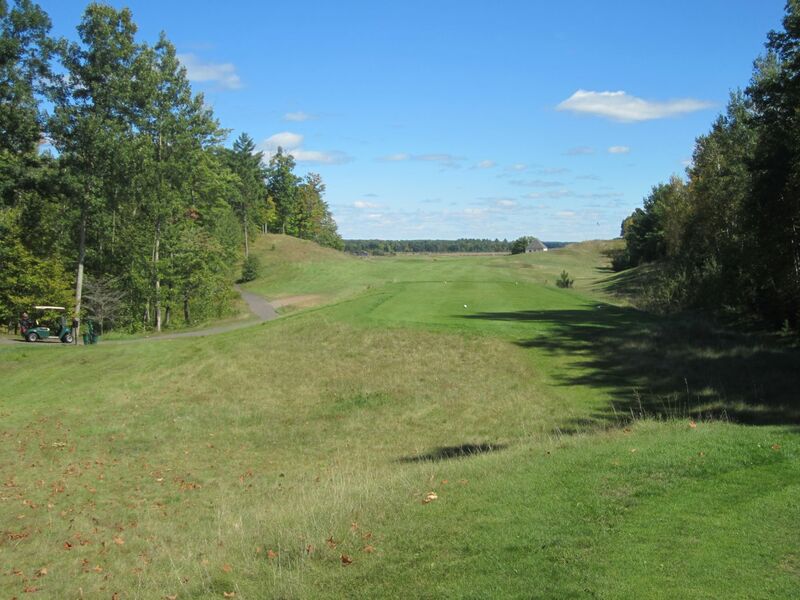 Long and tight, the fairway runs left to right, with a deep dogleg that forces a huge second shot that must carry a ravine on the right and false front that will leave anything short with a long uphill chip. Fifteen is deservedly the number one handicapped hole on the course. Sixteen is a signature Pete Dye par three. With a long waste area/sand trap running the length of the approach area, this 179-yard one-shot hole requires absolute precision to avoid the runoff areas found long and right. The drive on seventeen should be played to the right side of the fairway, which is much more open than it appears from the tee. 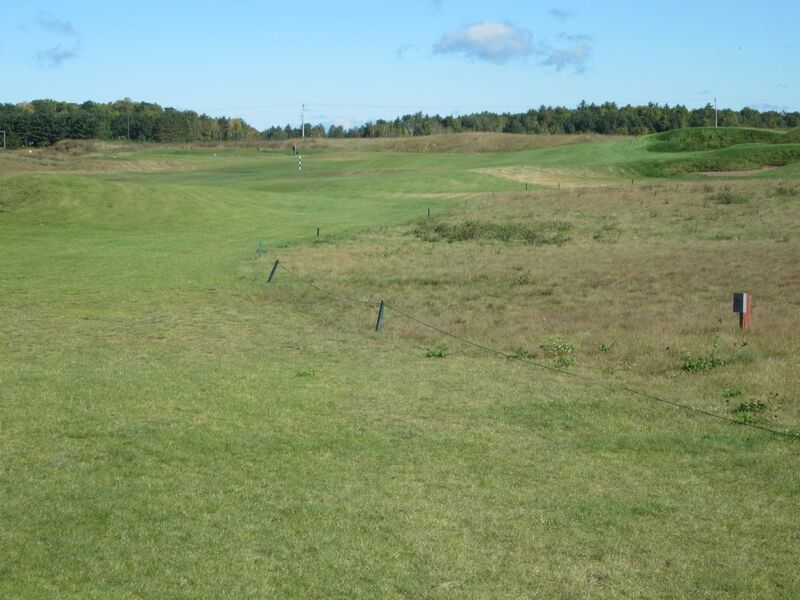 Heavy fairway mounding can create difficult setups for the second shot, and a spattering of pot bunkers front and right of the green must be avoided. A back-right pin location invites shots to the back of the green, which runs off that way and well downhill. The finishing hole at Big Fish is a 417-yard par four that finishes on a thin perched green that runs downhill from the middle to the back. The right side is more open than the left, but leaves a much longer approach to finish the round. A false front requires an extra half-club to find and hold the green. 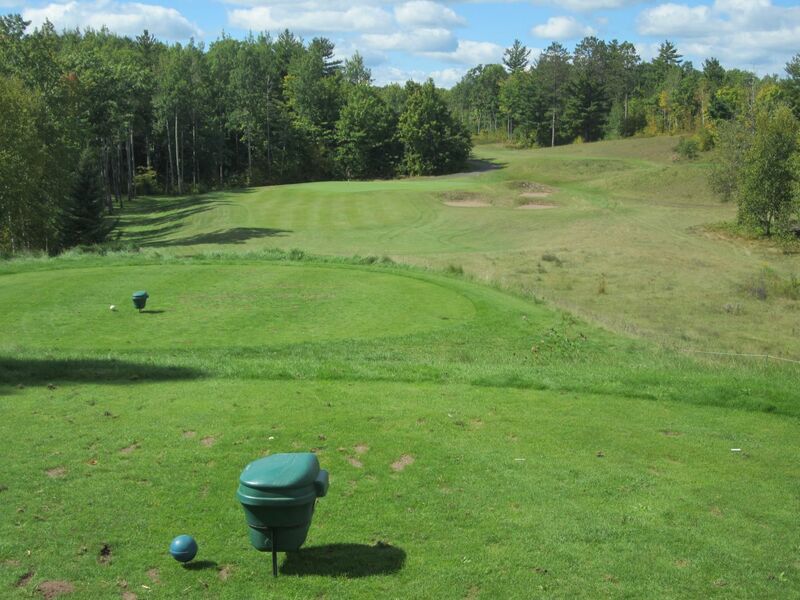 Big Fish is a fun golf course that provides an excellent variety of golf. 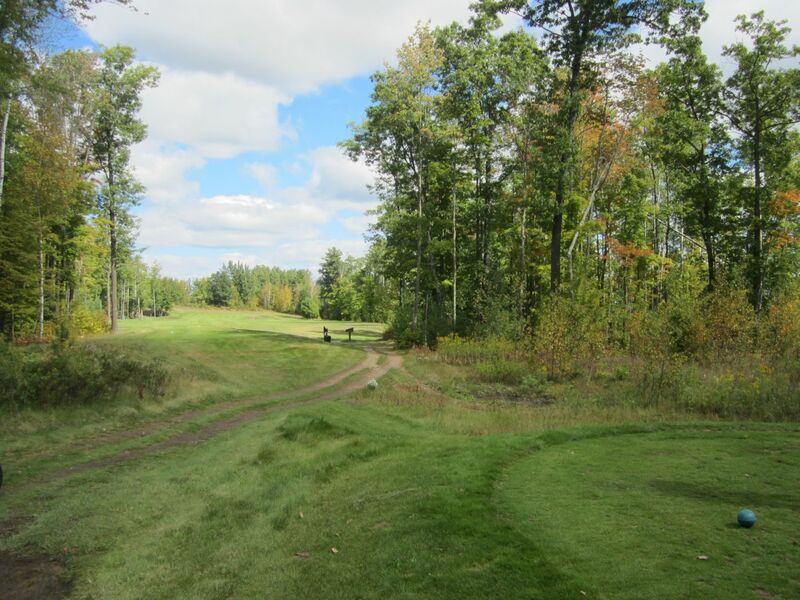 While the links play on the front is textbook, the back nine is what sets it apart as one of the highest rated golfing experiences in northern Wisconsin. It helped having great company, too – even though I got destroyed by my friend, Holly, who quite impressively shot what I believe was an 81 from the men’s tees. This year brought new ownership to Big Fish, which was previously facing dire times in a tough rural economy. 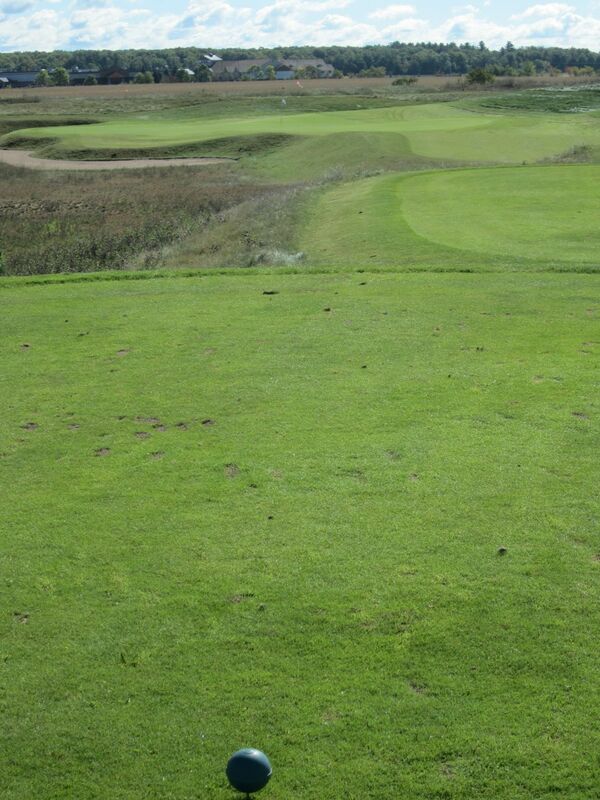 The previous lack of funding was at times evident in ocassional fairway splotchiness (is that a word? ), but the greens were fast and unblemished. Overall, I felt the course conditions were more than adequate, although some finishing touches could be added to the front nine to make for a more exciting playing experience. Longer fescue alone could probably help frame the fairways better. Of course, it may have been shorter than usual during my one trip to the facility. If you are making a trip to the Hayward area, I certainly recommend bringing your clubs. Use the front nine as a great warm-up for the back, and then just try to hang on while the heavily wooded route in kicks you repeatedly. 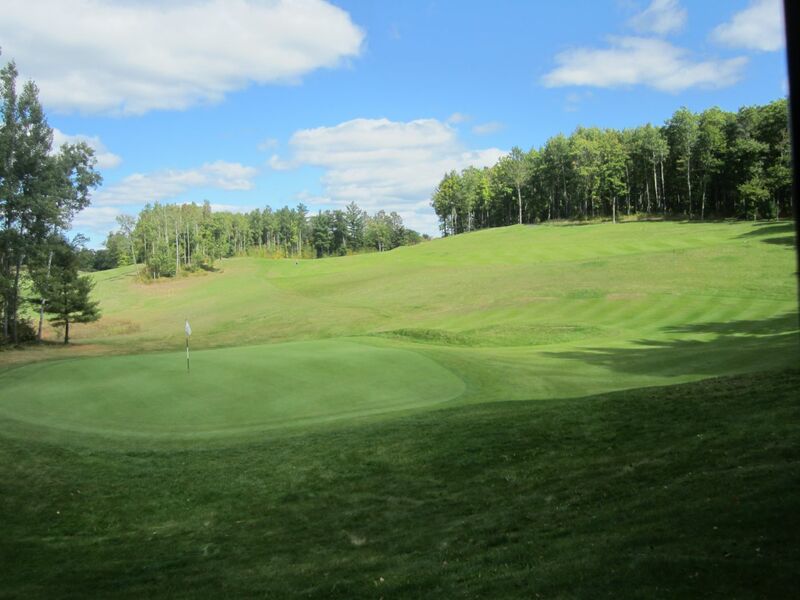 While it is one of the most challenging nine-hole stretches in Wisconsin, it is certainly fair and absolutely beautiful. Great job, Paul! Reading your review was reliving the fun day in Hayward! 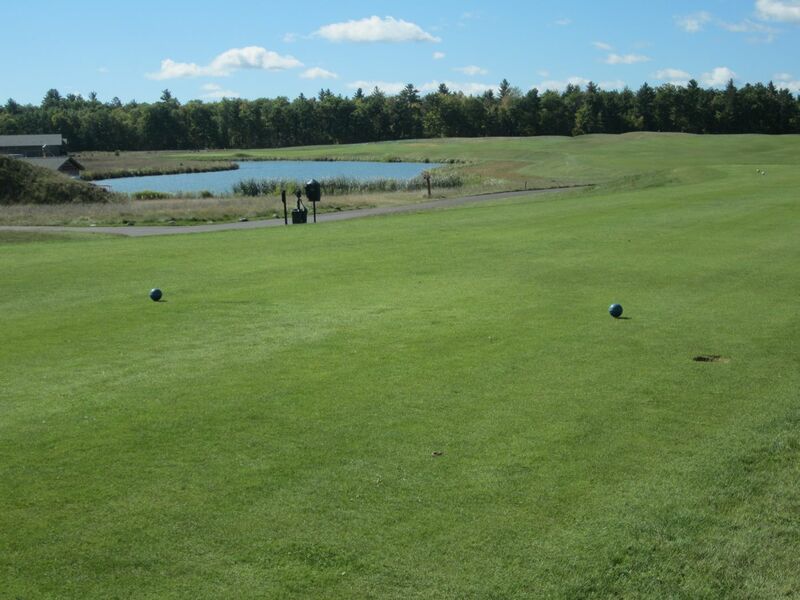 You are always welcome @ our home…there are several more golf courses in our area to play!